In recent years, exercise has been nationally promoted, due to the excessive obesity rate. Though many people associate exercise with weight loss, there are many health benefits, as well. In fact, exercise is now a factor for recovering cancer patients. Of course, exercise does not only benefit recovering patients. Health experts recommend cancer patients in every stage to maintain a regular workout routine. However, patients who are undergoing aggressive treatment may require an assigned trainer to help them. For example, patients undergoing mesothelioma treatment will be subject to different types of radiation treatment and surgery than a patient who is undergoing breast cancer treatment. 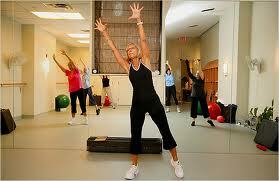 Nevertheless, exercise benefits patients in a few primary ways. Exercising for energy may seem like an oxymoron to many people, especially cancer patients, who often suffer fro extreme fatigue. However, it is widely known that people who maintain a regular workout routine are benefited with increased energy. When you become inactive, your body's metabolism slows down. It is a natural safety mechanism in cases of emergency, where you may be deprived of a reliable food source. As a result, the inactive body becomes used to not using energy, so it does not require much energy to survive. When you become active, your metabolism kicks into gear and your body gets used to the increased flow of energy. Treatment and surgery do well to remove cancerous cells, however, it can cause some pain and discomfort as a side effect. Most cancer patients can attest to the pain from which they suffer during times of recovery. In fact, even some patients in remission still suffer from slightly painful side effects. Exercise increases blood flow, which carries essential vitamins and minerals to the other parts of the body. This results in a better immune system and a greater white blood cell count. These two things combined can help relieve the pain for cancer patients. If cancer patients are entitled to only one thing, it should be to feel depressed. Such a condition can naturally cause a person to become anxious. However, being optimistic during times of treatment and recovery are very important. Studies show that optimistic people typically heal faster, as well as have a greater immune system. Exercise releases endorphins, a natural hormone that helps people stay positive. Most patients claim they feel better about themselves and their condition after a good workout. Fitness is not a cure for cancer. Only a professional cancer center can help cure a patient. Regardless, fitness can greatly benefit a patient. Here is an article that lists the benefits of fitness for cancer patients. Wow!! What great news! I know that exercise is good for health. But I am astonished to that exercise can recovering cancer patients. I think it is big news for us. I will tell of my friends and known person about the value of exercise. I am very impressed to listen in the news. Thanks for your brilliant post. You need to use ladders to get them attached to the top of the poles which has already been attached to the legs of the Trampoline. Many poles come in two halves, though few are still made as single-pole units. So, if your pole is divided into two halves you need to allign the holes of each half and tighten the screws with the help of your screw driver.